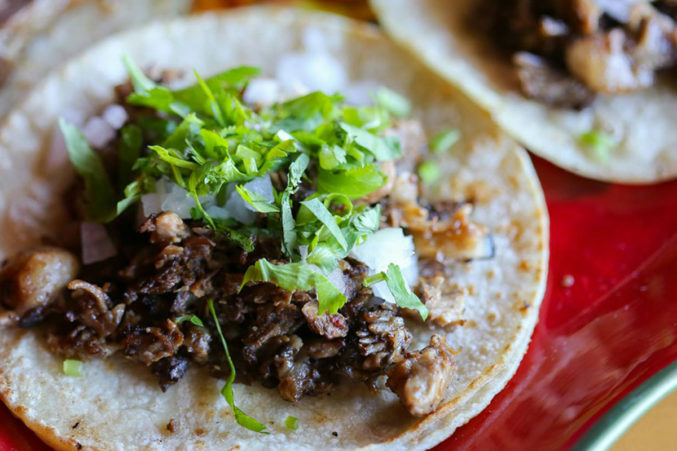 This family-owned and operated taqueria serves a variety of Mexican street food, including alambres, gringas, and of course, tacos. Order the al pastor on corn tortillas and ask for a slice of fresh pineapple on top. Feeling adventurous? Dig into the lengua (tongue) or sesos (veal brain).